Games dealing with war as a subject matter saturate the market. Ghost Recon: Wildlands may have been more about foreign terrorism being enacted on Bolivia than war specifically, but it was still harrowing in its insensitivity. The latest Wolfenstein will be rearing its head soon, and that’s definitely about an ongoing and brutal war. However, if we’re looking for something with a little more historical punch, you’ll be pleased to note that Call of Duty: World War II isn’t the only the title that looks to the past for inspiration. While not every title can emulate Valiant Hearts, In the Name of Freedom comes very close to offering a harrowing, introspective look at the kind of destruction and emotional devastation that you don’t get when you’re allowed to take everything on with a semi-automatic rifle. In the Name of Freedom is set during the Vietnam War. You play as Anna, and your partner has gone away to fight in Vietnam while you wait at home in America, surrounded by uncomfortable memories in the form of old photographs and memorabilia. The mood was immediately somber, which only intrigued me more; I had seen a few trailers for the game which made it look like a smaller-scale Uncharted, but the war widow angle was far less cliche. The framing was claustrophobic; tight walls, a small home office, and a sparse, reflective background track. All those things kept the focus on the emotional crux of the story - the fact that Anna’s partner had gone missing. The voice acting lacked polish, and a fair amount of the lines are delivered in an accent that I couldn’t quite place. Owing to the fact that the developer is a small German studio, that could have well been the cause for my confusion, but the game still managed to pack a sobering punch in its first few minutes despite the eccentricities identified, and the most harrowing of its scenes was yet to come. Dealing with spoilers is a difficult thing considering that this a game based on events that have already occurred in history. It’s no secret that the Vietnam War was an age of horrific violence both in the form of war crimes against civilians and outright combat. In the Name of Freedom then throws you right into the middle of all that as a hapless journalist, and one of the first things that you have to do is to record the mass murder of villages at the hands of the military force that brought you here. What makes it so chilling is the fact that seconds before, a distorted recitation of Lyndon B Johnson’s Peace Without Conquest plays in the background. Hearing a speech about uniting America and the world just before you’re forced to bear witness to atrocities was painful. I wanted to look away, but I couldn’t. Even if the camera panned to the blood-soaked ground instead of a child being shot in the back, the screaming was endless. I didn’t have the stomach for it, and Anna took things into her own hands by deserting the American forces. Predictably, that’s where the trouble starts and the Uncharted comparisons start flowing hard and fast. The controls are clumsy, but the game really laid on the terror by starting things out with a prolonged chase scene where dogs, soldiers, and attack helicopters set upon you. There’s no rhyme or reason for the aggression against you apart from the fact that you deigned to call American soldiers murderers, and the protagonist repeats “Why are you doing this?” over and over. It’s confronting and awful, and it doesn’t stop there. You’re stuck between guns and the killer wilderness, and it starts to take on a Tomb Raider inflection as more time goes on. 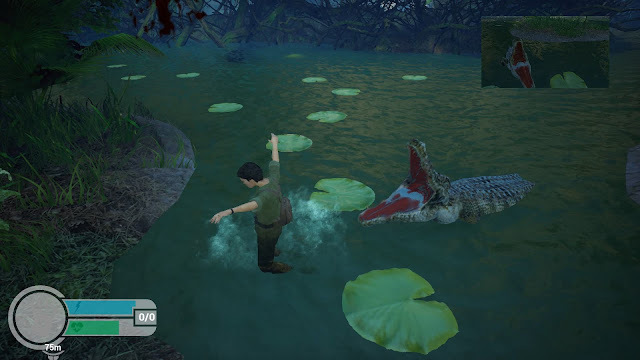 You’re forced to run through caves, through old structures, away from crocodiles, and into quicksand. Everything is treacherous here, and while you’ll likely tire of the player character’s endless proclamations, it doesn’t take away from the bleak truth of the matter - that you’re probably going to die out here. The health bar is laughable; everything and anything hurts you, and you’ll die often during the game whether its because of the stuttering controls, input delay, or because your destinations aren’t quite signposted well enough. However, those things aren’t the point of In the Name of Freedom. None of those things matter. The awful thing about In the Name of Freedom is the fact that the people you meet are motivated by their desire for whatever their conception of freedom is. The Vietnamese civilians are just trying to survive, and the American military is shown as a flawed beast which is so fixated on liberation that it closes its eyes to the moral price that it’s exacting from those around it. Death is everywhere, whether it takes the form of your protagonist constantly dying and trying to outrun the impossible, or whether it's in bearing witness to the worst that war brings out in people. Hammer Games Studio could have easily told this story in a visual novel style to focus more on the narrative it was presenting, but the platforming elements, however clumsily executed, did their part in making everything feel difficult and nerve-wracking. The whole game (which is just the first chapter) has under an hour of runtime if you’re careful, and continuous frame rate issues throughout, but as I’ve said, none of those things are important. 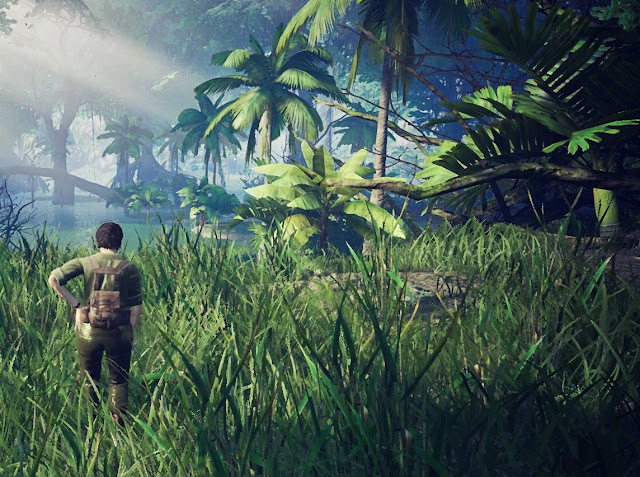 In the Name of Freedom is scathing in its use of Vietnam War propaganda, and while politicising games is seen as distasteful by some, this is a title that politicises itself. It’s an ugly look at an ugly war in humanity’s ugly past, and in the climate that we’re in now, it’s the most accurate representation of war that we have. I don’t know if I have the stomach to play through it again, and it may be because I have a grandmother who lived through the very worst of the military occupation in South East Asia in World War II. I didn’t feel any hope, or any joy playing this game, but that’s not the point. War isn’t meant to be any of those things. With Call of Duty: World War II looming, do yourself a favour and play In the Name of Freedom first. A tragedy shouldn’t be turned into loot boxes, and if you weren’t convinced before, you might be after this.